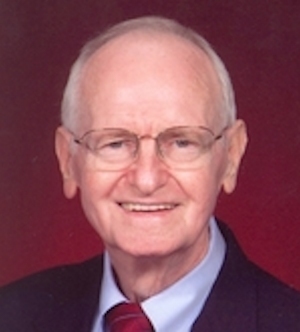 Obituary – Stanislav, Gerald Louis “Jerry” « Perry High School Alumni Association, Inc.
﻿Football 50-54; Basketball 5054; Mayor of Teen Town 53-54; Delegate of Boy’s State 52-53; Class Assemblies 52-54; Perryscope Staff 53-54; F.F.A. 50-54; Publicity Manager for Band Queen 53-54. Jerry was born November 2, 1936 in Perry, OK, and received Jesus Christ as his Lord and Savior in March of 1971. Our beloved husband, father, and papa went to be with our Lord on May 25, 2012. “Absent from the body, present with the Lord” (2 Corinthians 5:8). Jerry is survived by his wife, Binnie Sue (Eppler) to whom he was married almost 55 years; his daughters, Pam Campbell of Norman, OK, Susan Nimmo and husband Chad of Norman, OK, and Sarah Forrestier and husband, John, of Oklahoma City, OK; four grandsons, Daniel Alguindigue, Joshua, Benjamin and Nathaniel Nimmo; nephews Robert Dechant, wife Hana and son, Brandon, of Atlanta, GA, Troy Dechant, wife, Joey and children: Christopher, Dominic and Lane, of The Colony, TX; sisters and brothers-in-law, Anna Lou and Max Randall of Perry, OK, Pat and Bill Dorcy of McKinney, TX, Kathryn and Don Eppler of Garland, TX, Paula and Ray Eppler of Ardmore, OK, and sister-in-law Carole Eppler of Cheyenne, WY; cousins, Claudine VanBebber, husband Gene, and daughters, Diana Noteware and daughters, of Perry, OK; Bob and Joan Faken of Ponca City, OK. Jerry was preceded in death by his parents, Iva and Louis Stanislav, sister, Freda Dechant, twin infant grandsons, a sister-in-law, Irene Eppler, and a brother-in-law, Tom Eppler. Jerry graduated from the University of Oklahoma in May of 1958, and was employed with Nash-Finch Wholesale Grocery Company while at OU. After graduation, Jerry worked with Nash-Finch until 1976 as a salesman, buyer of fresh produce, and later Merchandising Manager in Minneapolis, MN. In 1959, Jerry was drafted into the army, served on active duty, 1959-1961, and was honorably discharged from the reserves in 1965. 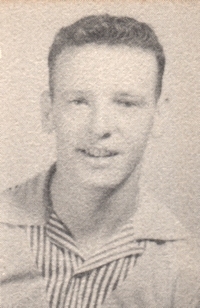 After his military service Jerry and Binnie returned to Oklahoma City where Jerry continued his employment with Nash Finch and they began their family. Promotions with Nash Finch Co. provided moves to Grand Island, NE, Aberdeen, SD, Sioux Falls, SD, and finally Minneapolis, MN. In 1976, Jerry returned to OKC with his wife and three daughters, purchased A Weldors Supply Company which he operated until selling it and retiring in December 2008. Jerry was a member of First Baptist Church in Moore, OK where he served as a Sunday School Teacher and Deacon. He loved his Lord, his family, and his church family. He loved to study the Bible and his passion was to help others do the same. He became a member of Men’s Bible Study Fellowship in Minneapolis, and then helped begin Men’s BSF in Oklahoma City in 1985. He served in leadership in Men’s BSF classes in Edina, MN, and Oklahoma City, including serving as the Teaching Leader for the South OKC Men’s BSF from 1999 until his retirement in BSF in 2007. Jerry was also privileged to serve as a Workplace Chaplain for Marketplace Chaplains, USA, in recent years. We are so thankful for the compassionate, loving and skillful care we received from all the physicians, nurses and support staff who cared for Jerry during the course of his illness. We especially want to thank the following physicians: Dr. Philip Jones, Dr. Stephen Lindsey and Dr. Gary Ratliff of Norman; Dr. David Kem, Dr. Russell Postier, and Dr. Shubham Pant from OU Medical Center in Oklahoma City. In addition, we would like to offer special thanks for the loving and excellent care provided by Lifecare Oklahoma Home Health, Hospice and Personal Services during the past few months of Jerry’s life. We couldn’t have made it without Wanda, Diane, Kelli, Eric, Taryn and Carrie. A Memorial Service celebrating Jerry’s life will be held on Saturday, June 16, 2012 at 11 a. m. at First Baptist Church of Moore, 201 NE. 27th Street, Moore, OK. A private burial will be held in Jerry’s hometown of Perry, OK, at Grace Hill Cemetery. Memorial donations may be made to First Baptist Church of Moore building fund “Continuing the Legacy”; Bible Study Fellowship International, 19001 Hubner Rd., San Antonio, TX 78258; Marketplace Chaplains USA, 12900 Preston Rd. Ste 1215, Dallas, TX, 75230-1329; or The Katie Moody Heart of Lifecare Foundation C/O Lifecare Oklahoma Hospice, 2411 Springer Dr., Norman, OK. 73069.